With advanced degrees in biology, Wangari Maathai was both an environmentalist and a political activist. In 1977, she led a national movement to reforest Kenya. Her organization is credited with planting about 30 million trees and making it a project for as many as 30,000 underemployed women. 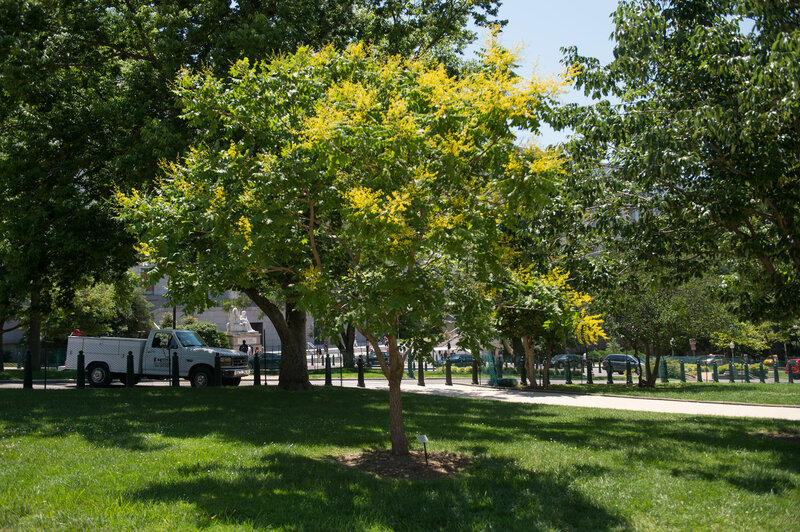 The tree's most notable ornamental charactaristic is the showy yellow flowers in early summer.